The invention of the computer is a fascinating story all about arguably the most important scientific invention of humanity’s entire history, perhaps even more important than the invention of fire, the wheel, or weaving. Computers have become indispensable in modern life, so much so our entire civilization would collapse to pre-industrial revolution levels if computers suddenly stopped working. The origins of computers date back to the 1840s and the invention of the first adding machines such as those invented by Charles Babbage, an Englishman who created a machine that could accurately calculate a large volume of arithmetic using punched cards fed into the machine. Babbage has been recognized as the inventor of the mechanical computer, and some say the father of computing. An intriguing earlier analog computer used for tracking the progress of the sun. moon, major planets, and the constellations was discovered by Valerios Stais in 1902 in the wreck of a Roman ship near Antikythera in the Greek Islands. Some historians and archeologists believe this may have been invented by the Greek astronomer Hipparchus, which if true would redefine who invented the computer. In the late 1930s and early 1940s a electronic computers finally started to be developed, John Atanasoff and Clifford Berry inventing the very first electronic computer in 1937, though their machine wasn’t fully tested until 1942. The honor of inventing the world’s first fully functioning electronic computer goes to Konrad Zuse of Germany who successfully operated his Z3 computer in 1941, a year before Atanasoff and Berry. In England an even more advanced machine, known as Colossus was built for the code breaking division at Bletchley Park in England during 1943 and 1944, and was invented by Tommy Flowers, a British Post Office engineer. In all eleven Colossus computers were built and provided the much needed information that allowed President Eisenhower to fix a date for the Normandy Landings. 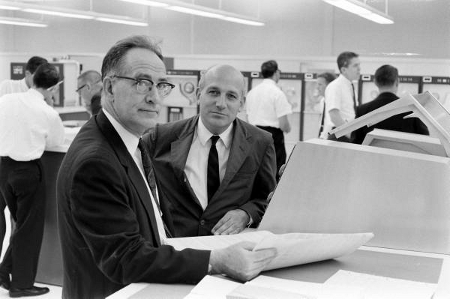 After the war two Americans, John Mauchly and J. Presper Eckert designed and built another electronic computer known as ENIAC which had 7 times as many vacuum tubes as the Colossus machines and was designed to calculate US Army artillery firing ranges. The machine finally started operation in June 1946, long after the war had ended. In 1971 Mauchly and Eckert, along with Rand-Sperry, unsuccessfully sued John Atanasoff for the right to have their computer patent on 1964, but based on a 1947 filing, to be considered the pre-eminent computer patent. 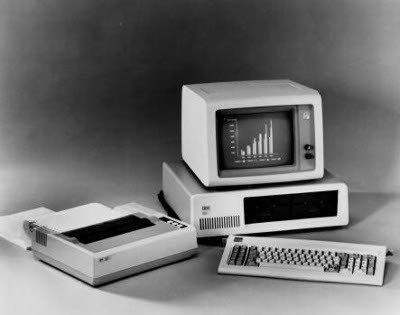 Their goal was to claim royalties from other computer manufacturers, but Judge Earl R Larson of the US District Court in Minneapolis held in favor of Atanasoff even though he had never been able to successfully file a patent. Whilst Atanasoff has been officially recorded as being the father of modern electronic computing, he has nevertheless not received widespread recognition as the inventor of the computer since supporters of Mauchly and Eckert, Zuse, and Tommy Flowers refuse to give up their long held belief of who invented the computer.